The department was founded in the year 1967 and has completed 46 successful year.927 graduates and 324 Post- Graduate students are produced by the department. Miss. Anuradha Shamrao Mane got ‘Gold Medal‘ from Shivaji University kolhapur in the year – 2006. Miss. Shamala Appasaheb Khot received University Scholarship of 10000/-.and is University Ranker in the year – 2009. 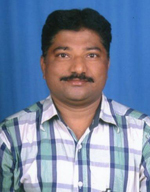 Mr.Chetan Lokhande is Radio Jokky in Kolhapur Akashwani . Mr.Suresh Adake is Marathi Writer.He has Written one story book ‘Hambarda‘ in 2008. His short story ‘Rakhi Sawant Swargat is selected for Magazine competition. Our students ,Miss.Shamala Appasaheb Khot ,is at persent working as ‘Nayab Tahasildar‘ and Mr .Chetan Lokhande, is ‘Sub- Inspector‘. Department is well equipped with various teaching aids like OHP, Slide Projector etc. One day workshop on ‘Revised Syllabus’ for B.A. II was arranged by the department in Nov. 2008. About 550 students have passed out up to this date. The teaching faculty of the department is recognized as post graduate teachers. Dr. A..R.Toro. the ex.HOD of the department.is famous critic on,Marathi & Kannad Lituretre : A comparative Study. Scholar.Dr.M.R. Datar another ex. HOD and former Principal of the college have guided Ph.D., M. Phil students and has great study of Saint Sahitya, Research of Keshevsutaªs poems,study of saint EkanathLitreture..He delieverd Radio –Talks on Sangali, Kolhapur and Pune Akashwani. Prof.S.S.Jadhav,presend Head of the department has completed is M.Phil in 2009. and his Ph.D. work is under progress. He worked as a co- ordinator of Distance Education Study Centre from 2006 – 2012. He worked as Editor of ªWARANA VARSHIKª MMagazine from 2009 -2012. To organize the seminars and workshops for students. Yashawantrao Chavan Vyakhayanmala is organized by the dept..
Our department provides guidance to the college educational tours and Competitive Exam.